Item Style Number: NEB 134 Gold Ivory This item is available in limited stock. Only two remain get them while they last! An elegant set that will complement a simple ivory gown, or sit lovely upon the mother of the bridge. The necklace and matching bracelet each feature three rows of creamy ivory faux pearls, interspersed with gold plated columns of sparkling Austrian Crystal. 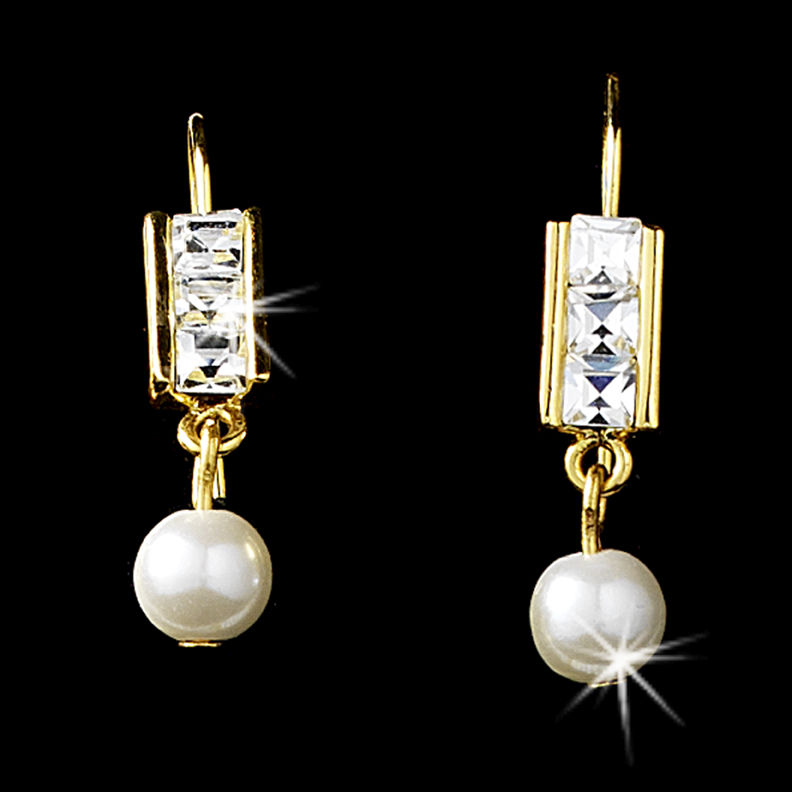 The hook earrings are a perfect match, featuring bold Austrian Crystal with a drop ivory faux pearl. The necklace measures 11" with a 4" extender, while the bracelet measures 7". The earrings measure 1" in length.